This two-level townhome in the Carnelian Woods complex, with three bedrooms and room to sleep eight guests, features new flooring, vaulted ceilings, and mountain-style decor. Put your feet up in the open living room next to the gas fireplace. With plenty of cozy throw blankets and pillows, you’ll feel right at home relaxing on the comfortable furniture. Catch up on the news or watch a movie on the flat screen HD TV/DVD player. Stay connected with Wi-Fi. Barbeque on the adjacent covered deck year-round and take in the forest view or prepare a gourmet meal in the fully-equipped kitchen, with dining at the large table or new live-edge walnut breakfast bar. Spend quality time together with ample room for a large family or two couples with children. The main floor bedroom has a king bed, the upstairs bedroom has a queen bed, and there are two full beds in the loft area. There is a bathroom on each floor, nicely updated with new walk-in showers and flooring. Plenty of bed and bath linens are provided. Main floor laundry makes it easy to pack light. When you’re ready to venture outside, keep everyone entertained in this perfect vacation setting. 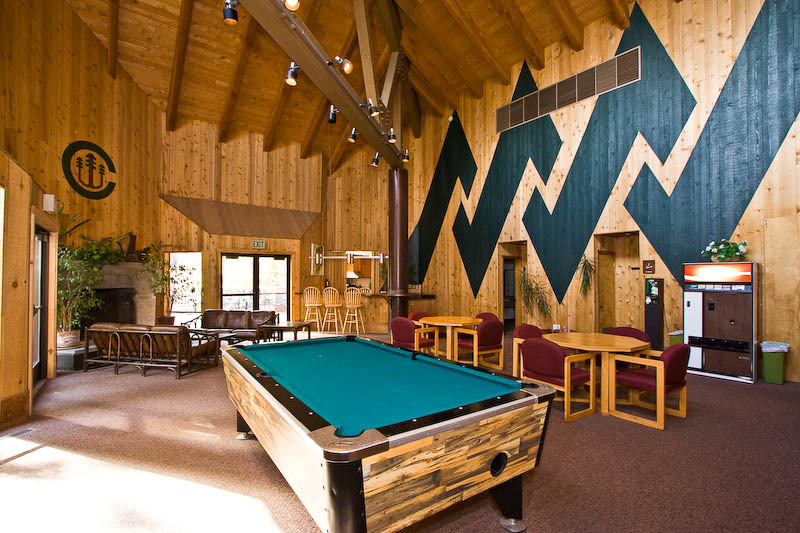 The Recreation Center / Lodge features a swimming pool, two outdoor hot tubs, locker room saunas, a game room with billiards, a video game arcade, tennis and bocce courts, and a fitness trail. 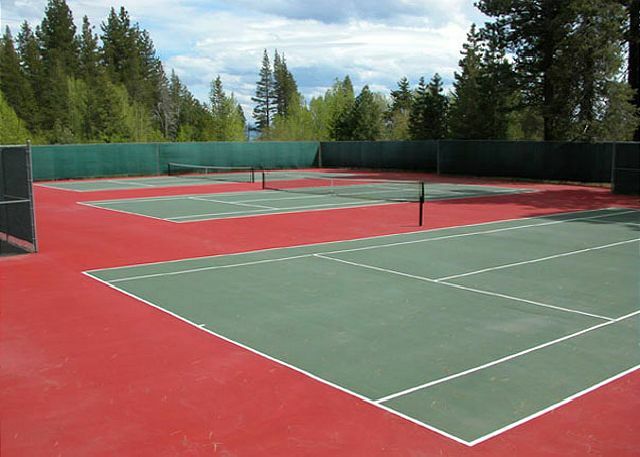 The complex backs up to Tahoe National Forest, offering miles of hiking, biking, cross country skiing, and other activities year-round. Your home away from home is in Carnelian Bay, where all North Lake Tahoe is right at your doorstep! This is one of the closet units to the lake. Stroll down to Magic Carpet mini golf or check out Waterman’s Landing, located at Patton Landing Beach, a 3-acre, pebbly beach known for stand-up paddling. We were 5 adults and 2 kids travelled together in mid Oct. The house was fantastic. It was clean, cozy and homey. The kitchen was fully equipped. The location is close to Tahoe city but it is still pretty quite (btw we were the only guests in the complex). Nicely furnished. Comfortable and clean. Management was great! The Condo had all the basics that you would expect (less A/C) and was a comfortable and cozy place for our family to gather, eat and rest from a full day of activities. The place is a little worn and needs a little refreshing. The beds were comfortable (we used them all) and the recliners comfortable. The pool and hot tub were an added blessing. All in all, it was not a bad option for us. We had an excellent vacation. We stayed the first week of July 2018 at the Carnelian Bay Wilderness Resort Area. We were so pleased with our visit, the condo was very clean and updated and just perfect. The location was amazing, within walking distances to the beach. The pool area was wonderful. The staff was so nice and the customer service was very professional and always available. There were so many activities for us as a family to do. I would definitely recommend this property. Our family enjoyed our time so much we are looking forward to coming back in the future. We had an amazing vacation!! Wonderful place to stay for Tahoe vacation. Visited from MA. My partner and I flew in and met my two kids and their boyfriend and girlfriend. Plenty of room for all and two baths was needed. We had our privacy downstairs while the kids were upstairs. We have stayed in theses condos a few times and really like the location and what they offer for the price. Baths had been updated but kitchen is due. The reservation process went smoothly. When we had minor car trouble driving to Tahoe and had to delay our arrival, First Accomodations was very helpful. The condo was exactly as advertised; it was very clean and everything worked as it should (which has not always been my experience with vacation rentals). The beds were comfortable with good quality linens. Kitchen was stocked with everything we needed to cook meals. The gas fireplace provided warmth when needed and there were fans to cool us down when it was too hot. The unit was well located, easy walking distance to beach, restaurants, and miniature golf. I would recommend this unit to friends. Great location and value. Enjoyed the amenities including the recreation center. Townhouse is well appointed. Maintenance was very responsive (there were some lights out). Only comment is it is a little darker than it appears, even with all the lights on. Still, great place. There are written instructions for everything, including TV, cable, etc... thank God! Great vacation at Lake Tahoe! My family of 5 stayed at the Wilderness Retreat for a 4 day vacation during August. It was a short walk to the pebble beach where we could rent kayaks and paddleboards. Very kid and dog friendly beach, although next time we will bring water shoes for the rocks. We had a great time playing Bocce at the rec center. It was so much fun we played it on two different days. 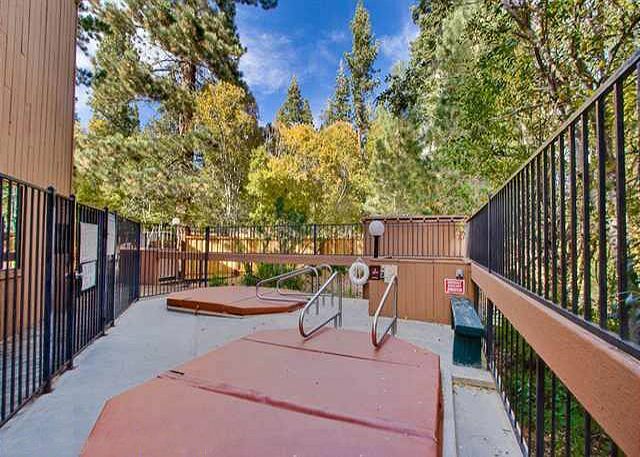 This condo was a great location since it was only minutes away from Tahoe City, Truckee, Northstar and Squaw Valley. We ventured out every day and were amazed at how quickly we could experience an entirely different area of Lake Tahoe. Our entire family had a great time and we all agreed that we will be coming back next year! I highly recommend the condo due to its location, amenities and ease of renting. Place was very nice, really enjoyed myself. Would recommend and return. Really enjoyed our stay here. The property was clean and the manager was great. Exactly as described. Great spot. We enjoyed staying your property. It was easier to check in than last year. only thing we wish we had was wifi access or pass word. we tried to call office, but phone did not work somehow. well,, we were busy going out so it was not that big deal after all. Thanks! This property does not come with high speed internet, and we have tested the phone and it's working fine. We've stayed at Carnelian Woods condos for over 30 summers. This unit was very nice. A little dark though, but when there are units on either side of you, it is tough to get more windows. Very nice unit otherwise. The virtual tour of the property was deceiving. The living room and kitchen was very small. You can only fit 2 people in the kitchen at a time. The only concern about this lovely property was the snow maintenance in the parking and driveway area. Snow removal was not good at all, and our car, with snow chains, got stuck trying to enter the street where the condo was located. Later, we were afraid to park the car because the parking lot has a distinct slope to it and was covered in black ice. To add to the problem, the condo itself had no snow shovel, so we couldn't even dig out a parking space for ourselves. The condo is about 10 mi from the closest ski area, which is about a 30 min trek with chains on. This is probably a better place to stay in the summer. First the positive. Very well painted and decorated. So enjoyed the beautiful art work! Love the bath improvements. Negative would be, very dark and sort of depressing as a result. There's prob not a lot you can do about that, however that was the down side for us. Overall, we had a great time. This condo is walking distance from the fabulous pool, sauna and spas as well as from the Lake. The unit itself is very comfortable and tastefully decorated. The newly remodeled bathrooms are lovely and the showerheads are awesome. The kitchen isn't gourmet, but it is fully stocked with more pots and pans, dishware, cutlery and glassware than you need. The dishwasher is excellent and the fridge is immaculate. We would return. Very well priced. We had a great trip and enjoyed the convenience of the house. Amazing place and a great bargain! We loved this place! The beds are comfortable, the kitchen has everything you need, the heating (in the winter) works like a charm, the place is spacious with plenty of room for your stay and it's really affordable. It's also close to all the North Tahoe ski resorts. The place is great and we definitely want to stay here again in the Winter and Summer. Thank you! Overall the place is nice, enough rooms to sleep 6 people. Here are just a few things I didn't like: the common areas (living, kitchen) are a little small for 5 or more people. The beds were not very comfortable (too soft and worn out, kept rolling into the center). I loved the remodeled bathrooms. It would also be nice if the driveway to the parking lots were kept ice free, not everybody has a four wheel drive! Property a lot smaller than the pics look but the location and the lodge was great. Very family friendly place to stay. We were very happy with unit 16. It was very clean, nice bathrooms, comfortable beds. The only problem was the living room area was a bit small for 8 people. We were definately rent unit 16 again.